For a long time people have been saying the first person shooter genre is going stale, with year after year of Call of Duty, Battlefield and Halo releases. Turns out all it took to give the genre a shot in the arm was to go back to basics with last year’s Wolfenstein: The New Order. Now the surprise hit from Machine Games lives again with Wolfenstein: The Old Blood, a prequel that aims to bring more of the classic gameplay while also introducing something new. For those of you just joining us, Wolfenstein follows BJ Blazkowicz as he attempts to bring down the Nazi regime. While The New Order focused on a alternate history where the Nazis won World War II, The Old Blood is set squarely during the middle of the war, where the fate of the world is still up in the air. The Old Blood refers to Helga Von Schabbs and her search for a mysterious occult power hidden by King Otto I, her ancestor. Like with all hidden powers, things go terribly awry but luckily BJ is there to help. The Old Blood is broken up into two distinct sections. 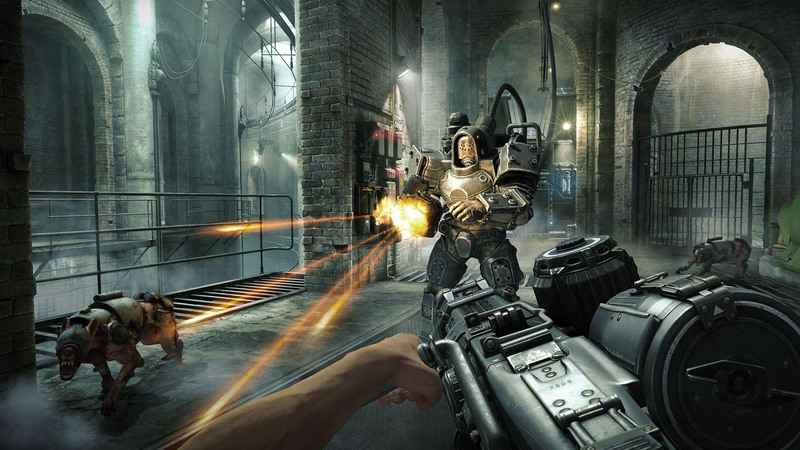 The first has BJ captured and forced to break out of the titular Castle Wolfenstein and features gameplay closely mirroring last year’s The New Order. The second half flips the script, where the mysterious power that Helga was looking for is unleashed upon a village. Without spoiling anything, this plot point results in some new enemies and mechanics that make a great addition to the game. As you would expect for a downloadable prequel, much of The Old Blood is similar to the original game. The majority of the weapons are the same and the gameplay still consists of a mixture of balls to the wall action and stealth. Similar to The New Order, the game revels in dropping you in a room with a bunch of enemies and giving you the option to take them out quietly, go in guns blazing or – usually – a combination of the two. You can still dual wield most weapons and the perk system returns to give you bonuses based on your play style. One thing that was surprising to me about The New Order was the difficulty curve. It seems like a decent bump up in difficulty compared to last year’s game, even devolving to the point of frustration in some scenarios. Running around with dual shotguns or assault rifles seems like less of an option than I remember. Instead, I found myself most of the time sitting in cover, taking potshots, which just isn’t nearly as fun. The Old Blood does, unfortunately, lose a lot of the heart that the original game had. This mostly results from the shorter, more action focused approach. There are a couple of new protagonists in the game but none of them get enough screen time to make you really care about them. The most interesting characters, it turns out, are the two main antagonists of the game. Both Helga and the sadistic Rudi Jäger show up multiple times throughout the story, with several opportunities for BJ to interact with them without bullets flying everywhere. 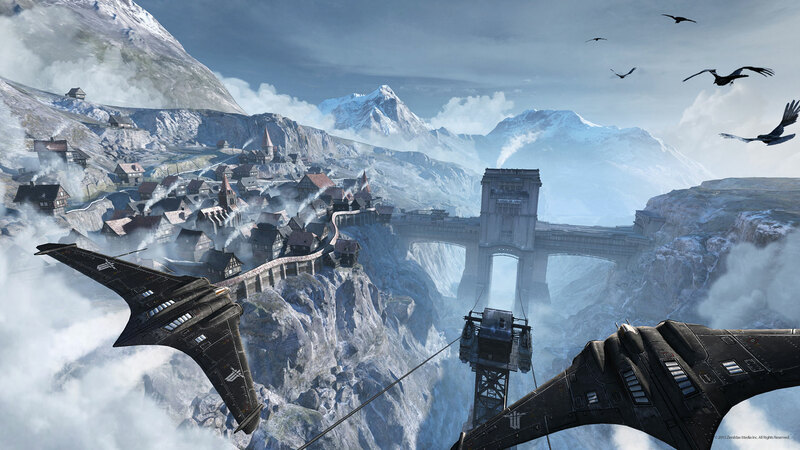 Wolfenstein: The Old Blood is a worthwhile trip back into Nazis and World War II. The intense focus on action does see it lose some of the charm that made The New Order such a pure joy to play but the gameplay is still there in all it’s glory. The new things it does in terms of gameplay are a welcome addition and they do enough to make it stand apart from the original. If you enjoyed last year’s game, you owe it to yourself to check out The Old Blood. 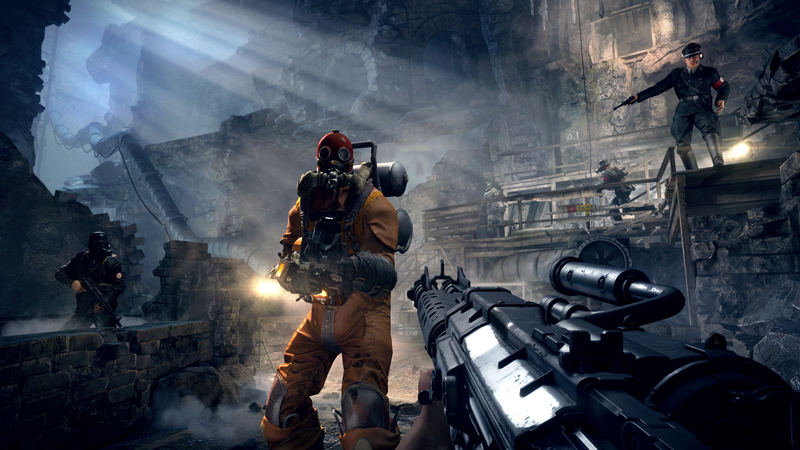 A code for Wolfenstein: The Old Blood was provided to Pixel Related for this review. Tags: Bethesda, MachineGames, Wolfenstein: The New Order, Wolfenstein: The Old Blood. Bookmark the permalink. I never played The New Order. Sounds like I need to check these both out.